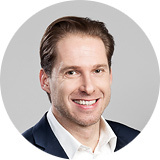 Gerald Frank has over 16 years’ experience in the data driven talent acquisition and eRecruiting industry with a focus on human resource marketing, employer branding & HR-technology in the key regions DACH, CEE, UK and the US. He accompanied numerous international projects and global key accounts right to new business development. At Iventa, he acts as a digital recruiting force for innovation, business development and strategic partnerships and alliances.